Download the working Pixel Launcher APK file for Android phones from the link provided below. Pixel Launcher will come with upcoming Nexus devices (now Pixel devices) as their default launcher. It seems that the upcoming HTC “Sailfish” and “Marlin” devices will be named as Pixel devices. 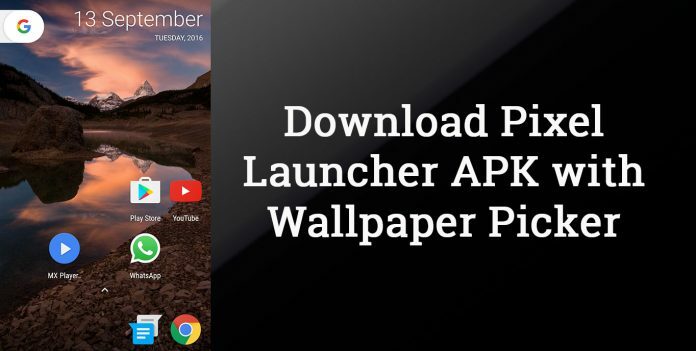 The new launcher comes in two APK files, one for the base launcher and other for the Wallpaper management and related functions. The wallpaper section of Pixel launcher has been highly modified and comes with many high-resolution wallpapers that might be hosted on Google servers. 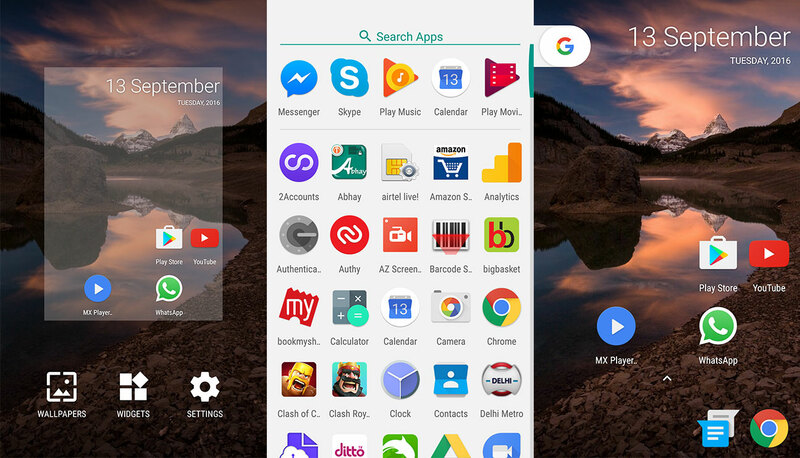 This new launcher has skipped the old-generation “App Drawer” button and comes with a simple “up arrow” button that swipes up the redesigned “App Drawer”. This window is now much cleaner and convenient. You need to install both the APK files provided above for fully functional Pixel Launcher. The setting page is very similar to that of Google Now Launcher without any customisation options. The users cannot customise the launcher as of now, but it seems that the final build or upcoming versions may carry some customisation options. The Pixel Launcher is very light weight and works perfectly in our tested device (Galaxy S7 Edge). There is no lag in any window, even the animation for opening the App Drawer is super smooth. The wallpaper picker has an option to bring new wallpapers on a daily basis by enabling the “Daily Wallpaper” section. Please note that we have not developed or extracted these Pixel Launcher APK files, we only have hosted them by downloading from other sources. Moreover, we also have tested them on our device, and it seems that the provided APK files are perfectly fine. To get further updates on Pixel devices, stay tuned with us.